News last week that retailer Primark had made a small range of its value fashion items available online at Asos.com Marketplace took many in the industry by surprise. The range currently includes only 20 items, including dresses, jeans and jackets, from £6 to £22. 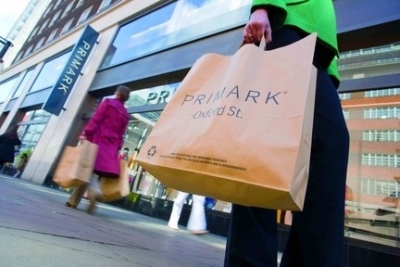 But the online foray may be short lived, as John Bason, finance director of Primark parent Associated British Foods told The Financial Times the collaboration period would be “strictly limited”. “It’s a toe in the water and it’s fact finding,” added Bason. Asos, whose Marketplace also includes other High Street and designer brands such as Topshop and Stella McCartney, similarly took a low-key approach to Primark’s addition. “Retail phenomenon Primark joins Asos as part of our round up of great British High Street brands,” it said on the Asos.com Marketplace website. While Primark has previously launched concessions in Selfridges, its first online offering led industry technology experts to agree the move was a win-win for both companies in this new collaboration. Malcolm Pinkerton, Planet Retail e-commerce research director, said that for Asos, the presence of Primark could dilute margins, but is sure to be outweighed by the increase in traffic and average basket size. Agreeing with RetailTechnology.co.uk’s readers and experts when asked whether Primark should make a move online, when it seemingly ruled such a move out Pinkerton also suggested in a blog posting that the Asos tie-up was just the start. “They are sure to dip more than just their toes into the world on online retailing, potentially looking at other third party sellers or marketplace sites to grow their fledgling e-commerce offer,” he wrote. Graham Charlton, editor of the Econsultancy blog, weighed up the e-commerce pros and cons for the store-based retailer. He observed, while e-commerce growth continues unabated and there is a market for Primark online, that the cost of delivery and returns might “eat away at margins”.